Born in Pamplona, Raquel Andueza began her music training at the age of six. Subsequently, a scholarship from the government of Navarre and the Town Hall of London enabled her to go on to train at the Guildhall School of Music and Drama in London, where she was awarded a Bachelor of Music degree with Honours and the School Singing Prize. Afterwards she met the singing teacher Richard Levitt, who has been her referent to date. Raquel Andueza Works regularly with a number of ensembles: L’Arpeggiata, Gli Incogniti, B’Rock, La Tempestad, Al Ayre Español, Orquesta Barroca de Sevilla, El Concierto Español, Private Musicke, Conductus Ensemble, La Real Cámara, Hippocampus, Orphénica Lyra, etc. In 2003 she became a member of the vocal quartet La Colombina. Together with the theorbo player Jesús Fernández Baena she began a duet specialised on the Italian music of the XVII century, and in 2010 she founded her own ensemble, La Galanía. She currently sings as a soloist at the main festivals and halls in Europe (Paris, Madrid, Barcelona, Brussels, Frankfurt, Utrecht, Prague, Bucarest, Viena, Mexico, Naples, Granada, Minneapolis, Bern, London, Hong Kong, etc). In 2012 she made her New Yorker debut at Carnegie Hall and also at the Londoners Proms. 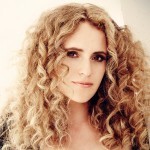 Raquel Andueza has performed with such conductors as William Christie, Fabio Biondi, Emilio Moreno, Jacques Ogg, Monica Huggett, Eduardo López-Banzo, Christina Pluhar, Richard Egarr, Ottavio Dantone, Christian Curnyn, Pablo Heras, Sir Colin Davis, José Ramón Encinar, etc. Raquel has made recordings for the labels Virgin Classics, Glossa, K617, NB Musika, Accentus and Zig-Zag Territoires. In 2010 she created her own label, Anima e Corpo, and she released the disc ‘Yo soy la locura’ in January 2011, which obtained the award “Festclásica 2011”, given by the Spanish Association of Classical Music Festivals.